Meet the Team at Highlands Day Spa in Post Falls, Idaho located on the beautiful Highlands Golf Course… who bring you beauty, relaxation and rejuvenation! The Highlands Day Spa pampers your whole body with a relaxing massage, your nails and feet with our organic manis and pedis. Don’t forget about Gift Certificates and always ask about current specials! We have a team of extremely talented professionals to fulfill all of your health, beauty and massage desires …Ahhhhhhmazing! INDULGE… Your Fabulous Spa-Ahhhhh experience awaits you! Contact us today to help create your special day! Emily has lived in North Idaho for her whole life, and can’t imagine calling another place home. 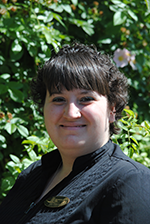 She is a graduate of North Idaho College with her degree in Business Administration, and is currently working to complete her Bachelor’s in Business Administration and Accounting through Lewis-Clark State College. Emily purchased the Highlands Day Spa from the original founder Jeane Plastino-Wood in October 2017 after managing the spa and working in several departments, including the front desk and finance. Emily enjoys meeting new people and creating meaningful relationships, and loves to create a soothing and relaxing atmosphere for your next spa day! 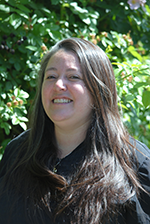 Holly is a graduate of the American Institute of Clinical Massage. She specializes in Swedish Massage, Deep Tissue Massage and LaStone. She believes in promoting wellness through massage by selecting and using the different techniques that best suits her clients. Chris H., Massage Therapist. 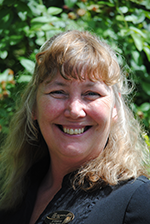 Chris is a certified Massage Therapist and has extraordinary intuition, perception and wisdom when working with you. His massage is gentle and effective combining flowing and balancing techniques with specific deep tissue and point work to address pain, restriction of motion and tension in the body bringing lasting relaxation and relief. A massage session may include muscle tissue release, stretching, and energy healing to leave you feeling radiant, clear, relaxed, and energized. Chris stepped into his lifelong calling to be of service in the healing arts more than 10 years ago. He is an accomplished surfer, ski instructor, martial artist and cyclist. He spends time outside of the office joyously engaged in nature, participating in a local yearlong transformational journey program and cooking healthy food with friends. Aaron Herting, Front desk. Aaron is a North Idaho native, lover of all things that makes up this beautiful place. 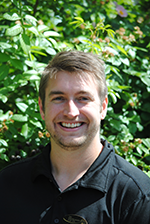 Aaron is currently a student at North Idaho Massage Academy in Sandpoint. After seeing so many positive changes in the people who visit the spa, and knowing that was in part due to the work of the therapists; he found his calling in the holistic healing arts of massage. Jenny is very passionate about the healing touch of the body. She had a calling for massage when she was wasn’t sure the next step to take in life. She graduated in 2012 from Carrington College. She was born and raised in Spokane, Wa. She recently moved over to Idaho to raise her daughter. She loves to do Swedish/relaxation but also listen to her clients needs when it comes to where they have the most problems or stress. 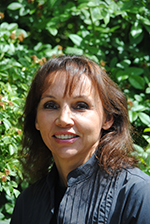 Graduating from the American Institute of Clinical Massage in 2000, Clois has had the opportunity to serve in all kinds of settings – from an Athletic Club to an Assisted Living Facility. In his practice it has been a great honor to have worked with such varied conditions and people, from mothers to-be to those preparing for life’s next great adventure. Utilizing an amalgamation of learned and practiced massage modalities with an intuitive guided feel, relaxation and rejuvenation becomes a natural state of being. Clois loves studying quantum physics and is currently working on Neurofeedback and Brain-mapping course as well as working to earn a Doctorate and PhD in Natural Medicine. Best of all, he loves going on fantastic adventures with two wonderful children! 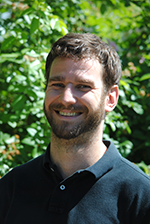 Ryan graduated from the American Institute of Clinical Massage in 2014. Ryan has been with the Highlands Day Spa since graduation and has built a great client following. 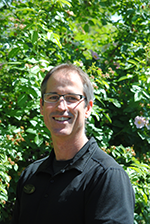 Ryan is proficient in medical massage, Swedish massage, hot stone massage, deep tissue, and trigger point massage. Melinda E. Esthetician. 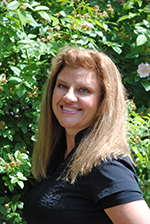 Melinda has been a licensed esthetician since 2006 and is a graduate of Vogue College of Esthetics in Santa Fe, NM. She joined the Highlands Day Spa Team in 2014 with over 2000 hours of advanced esthetics training and specializes in facial reflexology, acne and anti-aging skin care services, waxing, and spa body treatments. 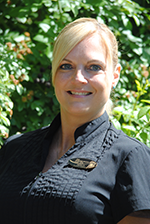 Elizabeth B. has been a certified esthetician since 2000 and working in a skin care environment is her passion! She specializes in skin peels, acne facials, glycolic peels, microdermabrasion, anti-aging facials, waxing, helping each individual look their best and feel confident in the way their skin looks. Elizabeth as taken over 40 hours of advanced education each year to keep up with the latest technology and ingredients. 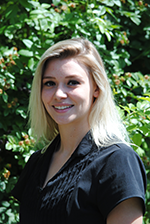 Elizabeth believes that her love and passion for skin care makes her job such an enjoyable experience everyday. 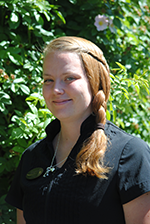 Elizabeth wishes everyone to a relaxing and great experience at The Highlands Day Spa. Selena is a 2013 graduate of the Academy of Cosmetology, in Post Falls, Idaho. Her services include manicures and pedicures that will soothe, relax and bring great care to your hands and feet…with a little added “bling” if you’d like. She also specializes in French Tips for a timeless, classy look. Selena will beautify your fingernails and toes providing an affordable and luxurious experience! Rikki is a licensed nail tech. She previously worked as a massage therapist, but realized her passion was for doing nails. She currently does hard gel sculpted nails, gel polish and loves to do fun nail art. She has lived in the area for around 10 years and looks forward to seeing you for your next nail service!ce!